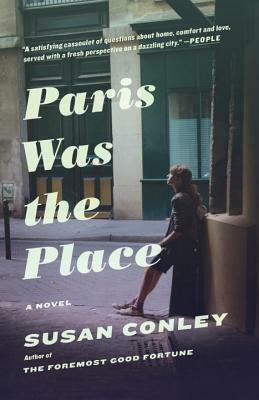 When Willie Pears arrives in Paris, she’s looking for adventure and to reconnect with her brother, Luke. Even so, when she takes a job teaching at a center for immigrant girls who are all hoping for French asylum, she does not expect to feel so connected to the ups and downs of their lives—or to find romance with their attractive and committed lawyer, Macon. But as Willie learns the girls’ histories, the lines between teaching and mothering quickly begin to blur, leading her to make a risky move that will threaten to upend the life and relationships she’s found. Susan Conley is the author of The Foremost Good Fortune, a book that won the Maine Literary Award for memoir and was a Goodreads Choice Award finalist. Her writing has appeared in The New York Times Magazine, The Paris Review, Ploughshares, and elsewhere. She’s been awarded fellowships from the MacDowell Colony, the Bread Loaf Writers’ Conference, and the Massachusetts Arts Council. She teaches at the University of Southern Maine's Stonecoast MFA writing program, and is the cofounder of The Telling Room, a creative-writing lab in Portland, Maine, where she lives with her husband and their two sons.